Bill Windsor is receiving many requests every day. Bill Windsor will be mighty busy between now and September 28, 2015 when he stands trial in Missoula Montana. He might have seven years to help thereafter, but he could be behind bars in the Montana State Prison, so his hands will be tied, so to speak. But what William M. Windsor and Lawless America volunteers can do is publicize your story. If you like, record a video. Post it to YouTube, and send us a link. 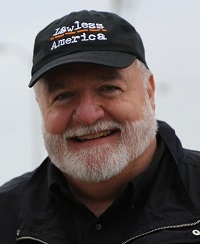 If we like what we see, we will add it to the Lawless America Channel on YouTube -- www.YouTube.com/lawlessamerica. 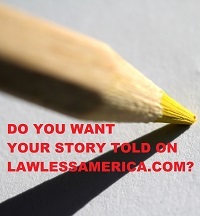 Your story on LawlessAmerica.com and www.facebook.com/billwindsor1 will reach a lot of people, including many who are fighting the same battle you are, so you may find help from some of them. Please realize that publicity might help, but it also might hurt. You must decide if you want exposure. We would like to help as many people as we can, but there is no staff and the boss man is trying to avoid The Slammer.